This Mediterranean sea salt body scrub smells of crisp, fresh sunflowers on a bright autumn day. 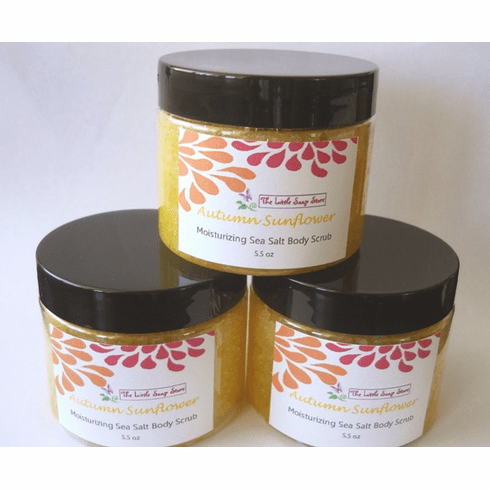 This hand-crafted scrub can be used on both hands and body. Made with sea salt and 6 skin-loving oils, it will remove unwanted dead skin cells, brighten skin, and deeply moisturize. Weighs approximately 6 oz. Ingredients: sea salt, avocado oil, olive oil, almond oil, sunflower oil, grape seed oil, fragrance.